Native American textiles & artifacts. The George Washington University is home to more than 80 centers and institutes conducting cutting-edge research in science and technology, public policy, and the arts and humanities. Together they embody the University’s dedication to discovery, scholarship and service. Conducting research using culturally appropriate methods and practices rooted in respect and reciprocity. 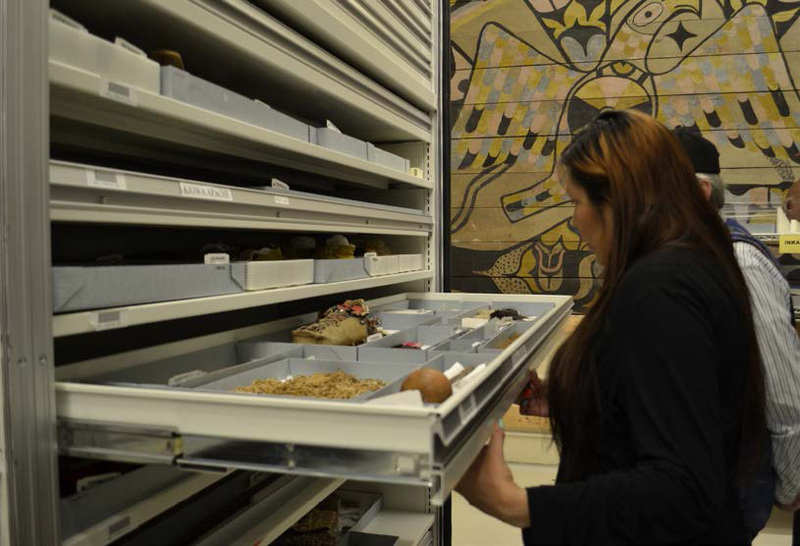 In conjunction with GW’s Paralegal Studies Program, “Access to Justice: Native America” is a collaborative project with the Walker River Paiute Tribe, Moapa Band of Paiutes, Reno Sparks Indian Colony, and the University of Nevada Las Vegas. Sovereign tribal nations and their citizens face severe, systemic barriers to justice including the rural lawyer shortage. Using its research findings, AT&T CIPP will develop an educational curriculum for tribal advocates which can be used when navigating the courtroom and in daily use of the law. In collaboration with the American Indian Alaska Native Tourism Association, AT&T CIPP will consult with Indigenous leaders about how to present Indigenous historic places in Washington, DC. The “Guide to Indigenous Washington DC” will include a walking tour map and accompanying mobile application featuring sites of importance to Native peoples across the Nation’s capital. The Guide will encourage millions of tourists who visit Washington, DC to remember the importance of Indigenous peoples to our shared national history and will raise awareness of the presence of Indigenous peoples in ongoing political processes and current events. This work is supported by Native Americans in Philanthropy GenIndigenous Response Fund at the Minneapolis Foundation. The Indigenous America University Seminar convenes an exploration of Native American, Alaska Native, and Native Hawaiian politics with the goal of fostering effective, positive governance within the United States’ 573 sovereign tribal nations and their relationships with related stakeholders. Indigenous America provides the unique opportunity for scholars, professionals, and tribal leaders to engage in the exchange of ideas, discussing how the latest academic research findings can translate into policy applications that support tribal sovereignty on the ground. Seminar meetings will inform the development of a publicly-accessible digital learning tool to be delivered in Spring 2019 as the final outcome. AT&T CIPP led a panel of nationally-recognized Native American experts at the first ever national conference on Indian boarding schools. The conference was held by the National Native American Boarding School Healing Coalition in Carlisle, Pennsylvania, location of the Carlisle Indian School. Panelists discussed their experiences and strategies for approaching the dynamic decision-making process of what to do with boarding schools tied to their communities, including preservation, repatriation, education and public engagement. Indian boarding schools emerged in the late 1800s to teach children labor skills, assimilate them into Euro-American society, and separate them from their tribes, families and culture.